Are there better words than "Release Day?" Possibly... Free Chocolate. David Gandy wants me. You've won the lottery. Okay, it's not the top thing but it is close. Yes, folks, release day for Best Served Cold is finally here: May 23, 2012. 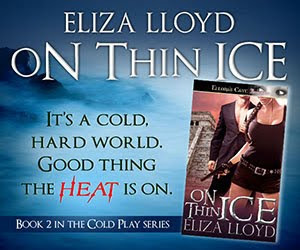 BSC is the first installment of seven in the Cold Play Series, featuring Dr. Keefe Pearson, the archaeologist heroine, and her cold as ice lover, Evan Jahnning. Their attraction is immediate, but Keefe suspects his motives. Evan, on the other hand, thinks her bed is the only place he can learn all her secrets. It's a cold, hard world. Good thing the heat is on.